The leading national logistics operator, 3PL-operator, UVK implemented a complex service for the transportation of cargo of pallet format for the manufacturer of phytopreparations TM “Health Keys”. 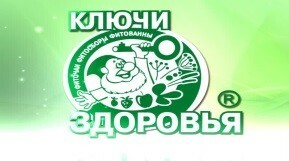 ТМ “Keys of Health” is engaged in the production, sales and export of herbalproducts. The main products of the company are: phyto-tea, coffee, chicory, cosmetics and a number of food products and suppliments. TM “Health Keys” products undergo strict quality control at all stages of production and packaging. In addition, the manufacturer pays special attention to the transportation and storage of products, since in many respects the success depends on these two stages and in what condition theproducts appear in the stores and move to the buyer’s handswhich Therefore, as a logistics partner, UVK company was chosen as company is able to provide optimal conditions for cooperation, including the transportation and storage of TM “Health Keys” products in accordance with the requirements of sanitary and hygienic control. Logistics solutions from UVK proved to be the most effective for distribution of phyto-products through networks and distributors, with observance of all safety rules for the transport and storage of phyto-preparations and medicines. Logistic operator UVK takes on the whole “headache” of the pharmacy business! UVK creates a flexible logistics chain – from taking drugs from suppliers to door-to-door delivery to retail outlets for phyto-preparations. To store and create the right microclimate in the warehouse, modern equipment is used. Medicinal products are stored at the appropriate temperature and humidity. Strict control of the shelf life of goods is carried out. UVK Company defends the interests of its clients and is interested in their success, both in guaranteeing their own development and prosperity. Due to the high professionalism and experience of the employees, UVK has established itself as a reliable and conscientious business partner. UVK takes leading positions in the logistics market and provides quality cargo transportation services for more than 15 years. The range of the company’s services includes cargo transportation and storage, international transportation, planning and full support in accordance with customs documentation. The mission of the company is to strengthen its positions, win customer confidence and mutually beneficial long-term partnership. The integrated approach and flexibility of services is the main secret of the success of the logistics company UVK Ukraine. Detailed information on logistics solutions and terms of cooperation can be found on the official website, and you can read the reviews about UVK at http://www.kakrabota.com.ua/company/3355. New logistics solutions are being developed and successfully applied in practice to meet the growing needs of various areas of modern business. So in the second half of 2017, the company UVK plans to launch a service of transportation of box-shaped cargo in Kiev and Kiev region.